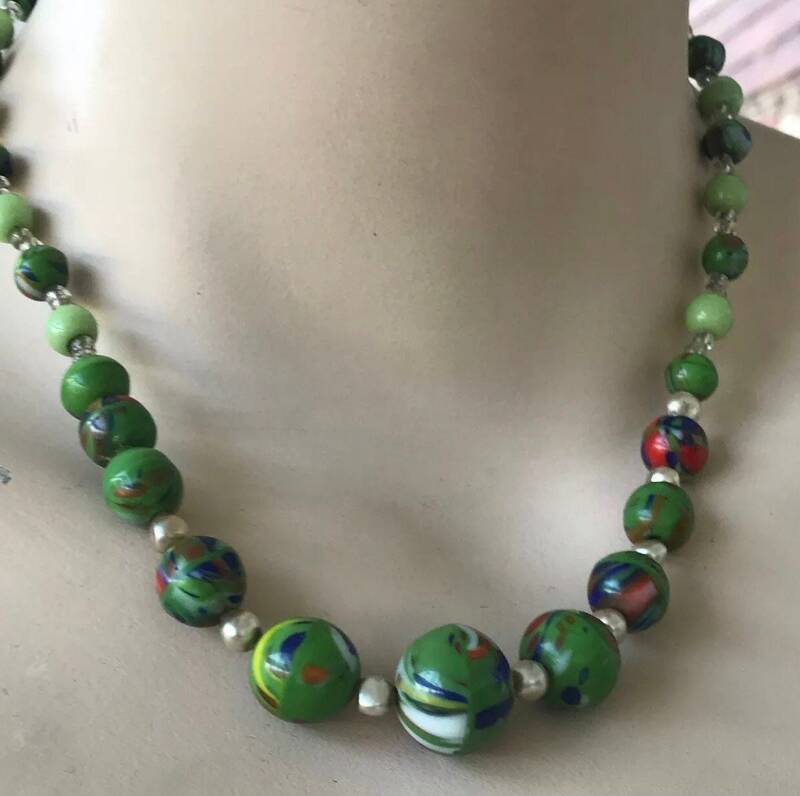 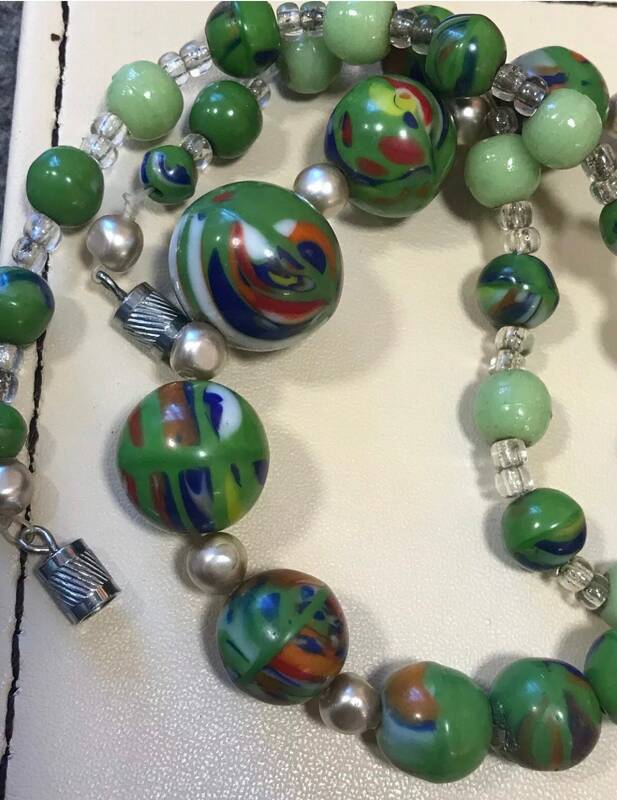 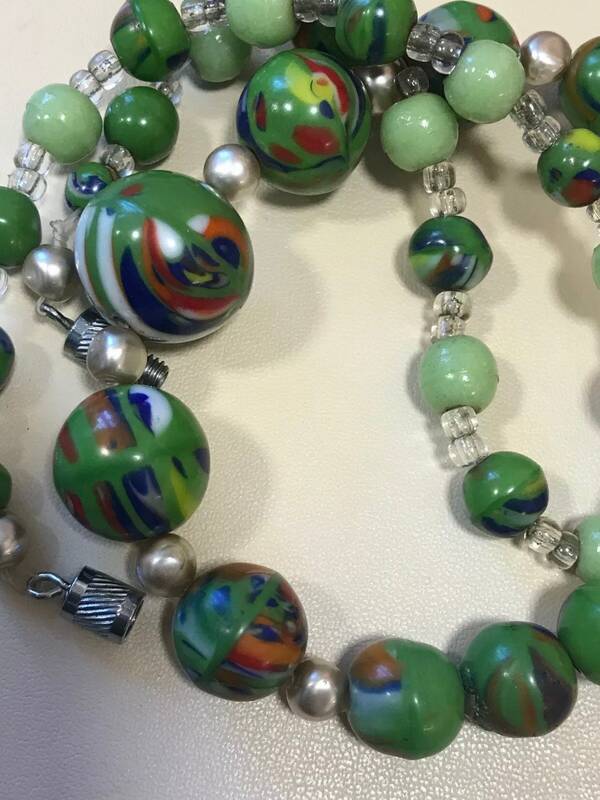 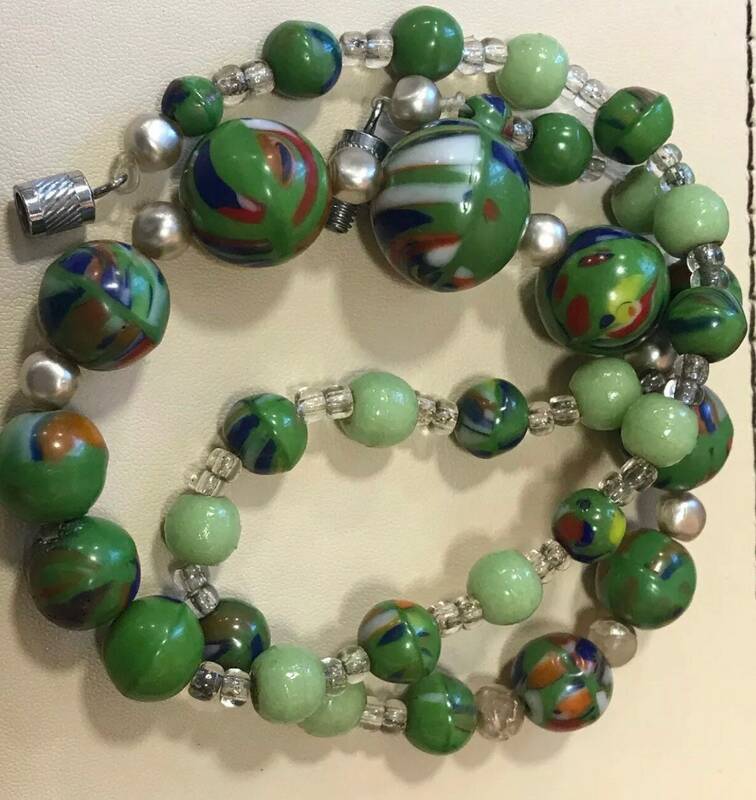 Old Murano end of day green Glass Beaded Necklace Swirl Beads. 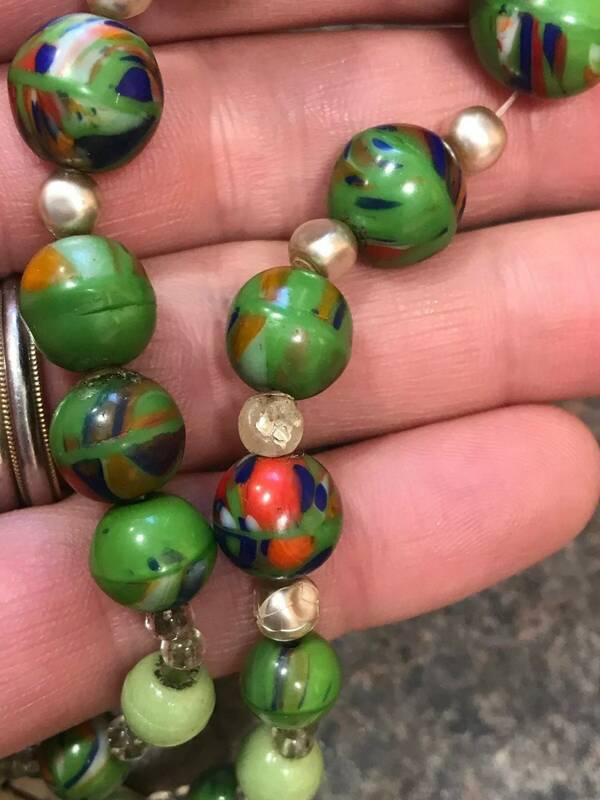 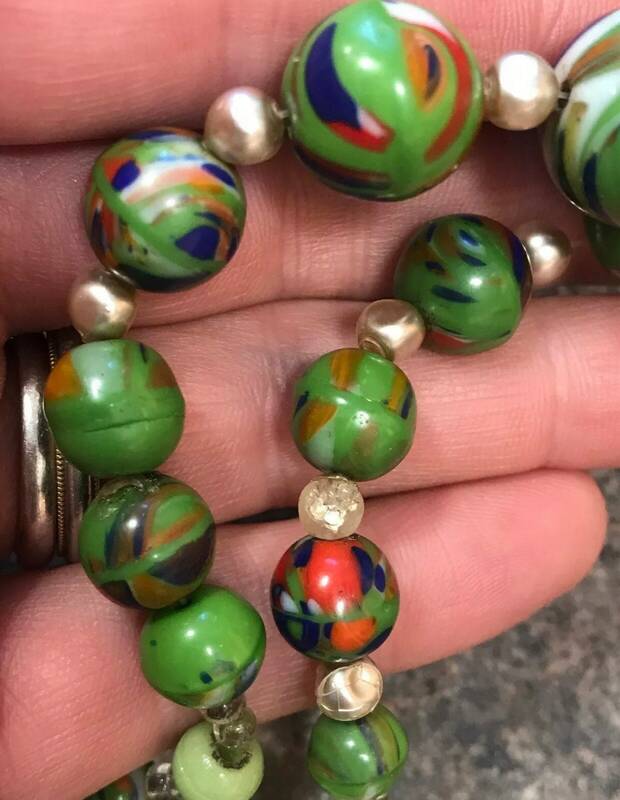 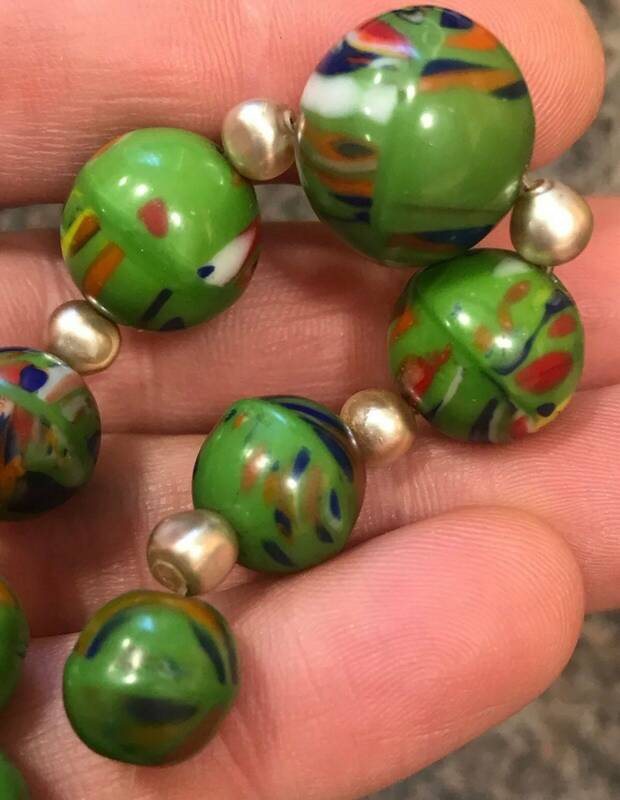 Vintage Old Glass Beaded Necklace Swirl Beads. 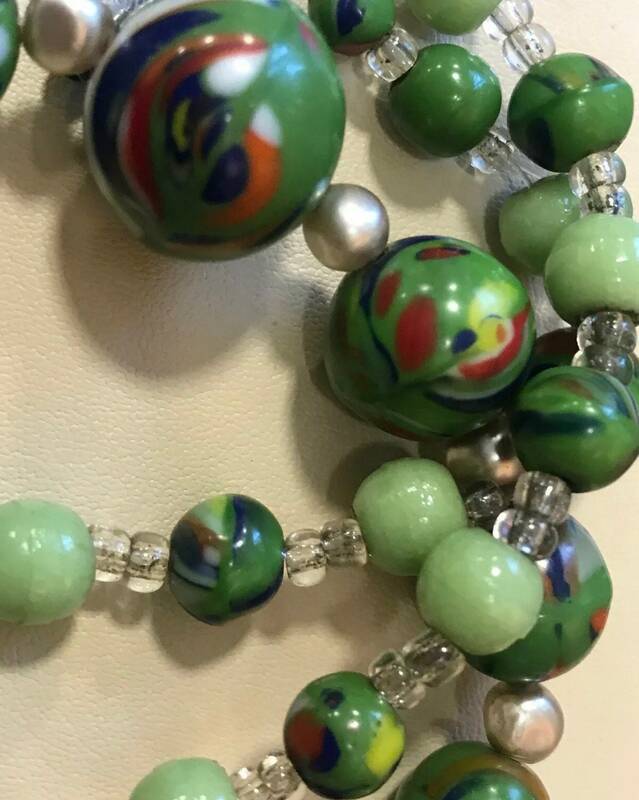 Approximately 16” inches in length. 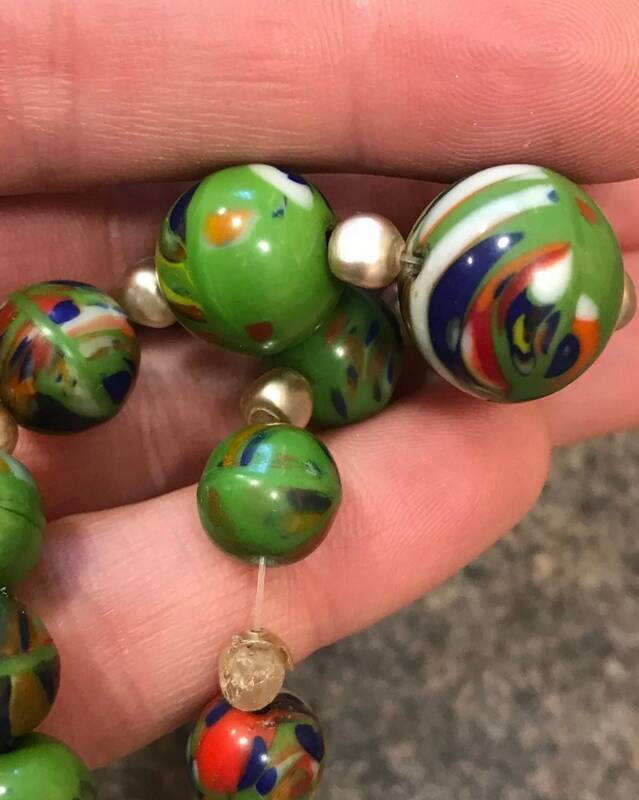 These beads look very old. 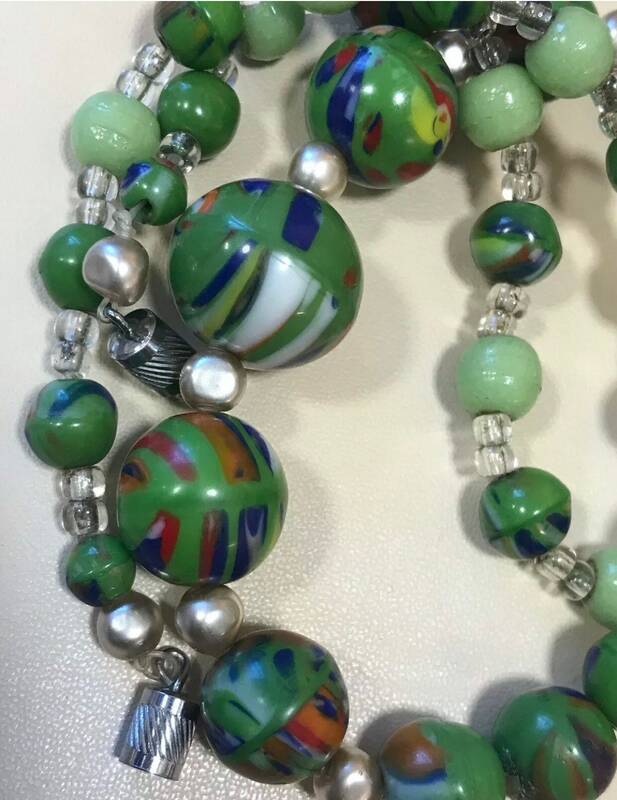 This has been restrung on clear wire although it is very secure the restringing is a little loose.